Today, an important bill championed by NPI’s Gael Tarleton to transition Washington State to a one hundred percent clean electric grid left the Legislature after the Senate concurred with recent amendments made by the House. As a consequence, Engrossed Second Substitute Senate Bill 5116 is now on its way to Governor Jay Inslee’s desk to be signed into law. This crucial legislation puts Washington on a path to a clean energy future by requiring utilities to phase out coal by 2025, be pollution neutral by 2030, and generate one hundred percent of their retail electric load using clean energy by 2045. Vox’s David Roberts argued in a recent post lauding the bill that E2SSB 5116 is superior to similar bills in other states because it changes the regulatory environment for utilities instead of merely setting clean energy targets. Inslee — who is running for President on a platform of addressing and reversing damage to our climate caused by runaway pollution — cheered the news. “On this Earth Day, I couldn’t be more proud of the Legislature’s action to pass the country’s most forward looking clean energy bill,” said Inslee. “I look forward to signing this legislation and I thank Senators Carlyle, Palumbo and Billig, and Representatives Tarleton and Fitzgibbon for their remarkable leadership,” the Governor added. The vote in the Senate to concur in the House amendments was twenty-nine to twenty. All the Democrats voted aye and they were joined by Republican Tim Sheldon, who calls himself a Democrat, but caucuses with the Republicans. We are so proud of the work that our founding boardmember Gael Tarleton put into this bill. She worked really, really hard to deliver this much-needed legislation for all Washington communities, and deserves a hearty round of applause. This is what progress looks like. We’ve just taken another step towards a future where we meet our energy needs more sustainably and responsibly than we have for the past few centuries. Bravo and well done, Washington State Legislature! Easter is the most significant holy day for Christianity’s many denominations, although not all of them are celebrating it today. Passages like the following excerpt from the Gospel of Luke (24:1-12) are commonly read during Easter services and liturgies as part of Christian communities’ observance of the holiday, as they are considered authoritative accounts of the Easter story by Christians. A Washington State Republican politician took part in private discussions with right-wing figures about carrying out surveillance, “psyops” and even violent attacks on perceived political enemies, according to chat records obtained by the Guardian. That Republican politician is Matt Shea, a former United States Army lieutenant who now serves in the Washington State House of Representatives, ostensibly representing the 4th Legislative District — though we don’t think he represents anyone at all given his views and lengthy record of hate speech. Shea and a small group of other militant right wingers want the part of Washington they live in to secede and form a new state called Liberty. Shea — who often speaks at right wing rallies yet declines interviews — is in total agreement with Donald Trump that the mass media are “the enemy of the people”. He frequently denounces people he doesn’t agree with as “Marxists”. Prior to being profiled by Rolling Stone last year and investigated by the FBI, Shea was involved in supporting the militant group that seized control of the Malheur Wildlife Refuge in Oregon and broke numerous federal laws. Now The Guardian has obtained evidence that Shea discussed carrying out violent attacks against other people with other extremist right wingers. This disturbing conduct warrants further investigation. The Washington State House should open its own investigation into Matt Shea and his activities. Shea should at least be censured for this conduct and formally reprimanded. This is absolutely unacceptable behavior for a public official. There must be discipline. House leadership cannot look the other way: they must act. Tonight, after a long, contentious floor debate, the Washington State Senate passed Engrossed House Bill 1638, prime sponsored by Republican Paul Harris. The bill amends state law to allow schoolchildren and kids in daycare to be exempted from the MMR vaccine for medical or religious reasons only. No Senate Republicans voted for the bill. Two Democratic senators (Liz Lovelett and John McCoy) missed the vote and one (Bob Hasegawa) voted no. The chamber’s remaining Democrats voted aye. A recent measles outbreak in Clark County served as the impetus for the bill; Clark County is Representative Harris’ home jurisdiction. The outbreak prompted Governor Jay Inslee to declare a state of emergency earlier this year. According to PBS, Clark County has one of the lowest vaccination rates anywhere: seventy-eight percent, which isn’t high enough to provide effective herd immunity. In approving HB 1638, the Legislature is following in the footsteps of the Left Coast’s largest state, California, which has also struggled with the issue. Following a big measles outbreak at Disneyland, California lawmakers voted in 2015 to abolish the personal exemption for vaccines in the Golden State. “Before the change, only ninety percent of California children were vaccinated, which is below the ninety-four percent threshold public health experts say is needed to create community immunity to measles. Now, according to a study released last month, ninety-five percent of California children are vaccinated,” Governing Magazine noted in a 2018 report presciently titled “‘Ripe for an Outbreak’: Vaccine Exemptions Are on the Rise” and written by Mattie Quinn. Representative Harris has characterized EHB 1638 as “a small step” because it only ends the personal/philosophical exemption for the MMR vaccine. Removes the provision allowing a child to be exempt from vaccine requirements if the child has a parent or sibling with a history of immune system problems or an adverse reaction to a particular vaccine. Senate Republicans introduced more than a dozen amendments in an attempt to weaken the bill, but Democrats defeated each and every one of them. If the House signs off on the Senate’s changes, then EHB 1638 will go to Governor Inslee for bill action. Alternatively, the House can ask the Senate to recede from its amendments. If the Senate refuses, a conference committee would be appointed to produce a final version for each chamber to consider. Legislation that would remove Washington’s now-unenforceable death penalty statute from the books will not get a vote in the House of Representatives for the second straight year because of Speaker of the House Frank Chopp’s opposition. Senate Bill 5339, prime sponsored by Democratic Senator Reuven Carlyle and requested by Attorney General Bob Ferguson, passed out of the Washington State Senate back in February. It eventually received a hearing in the House Public Safety Committee and then secured a “do pass” recommendation. After that, the bill landed in the House Rules Committee, where it spent several weeks in limbo before advancing to the floor. 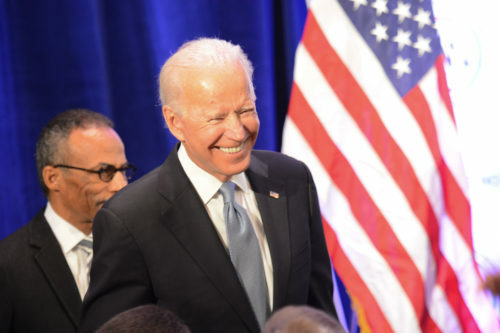 Despite getting on the House floor calendar, however, it will not receive a vote, even though House Democrats now wield a large majority of fifty-seven. Sources tell NPI that’s because Chopp is adamantly opposed to the bill and does not want it to pass. Today was the deadline for policy bills from the opposite chamber to receive consideration. With 5 PM having come and gone, we’re past the point where Senate Bill 5339 is eligible to be considered in 2019 under legislative rules. Last year, when House Democrats held a slim majority of fifty to forty-eight, Chopp’s public rationale for not holding a vote on abolition (as stated at a town hall in the 43rd District) was that the votes simply didn’t exist to pass the bill. Although Chopp’s seatmate Senator Pedersen disputed that rationale, Chopp nonetheless stuck to it. Now, however, the caucus has fifty-seven members, which means seven members of the caucus can oppose a bill and it can still pass if the remaining fifty members are present and voting yes. Support for abolishing the death penalty in Washington State is very high, according to NPI research. Last year, 69% of Washingtonians surveyed told our pollster that they preferred one of three life in prison alternatives to just 24% who said they preferred the death penalty, while 8% said they were not sure. Senate Bill 5339 would replace the death penalty with life in prison without the possibility of parole, which is the alternative endorsed by respondents in our poll. We’re very disappointed that Senate Bill 5339 isn’t getting a vote in the Washington State House of Representatives this year. However, next year, there will be a new Speaker, and Senate Bill 5339 will carry over to the next session because the 2020 session will be a continuation of the current Legislature. We will work during the interim to continue building momentum for abolition, keeping in mind that the arc of the moral universe is long, but it bends towards justice, as Theodore Parker and the Reverend Dr. Martin Luther King Jr. said. POSTSCRIPT: McClatchy’s James Drew has filed a story about SB 5339 getting blocked from a vote, in which Attorney General Bob Ferguson and Senator Reuven Carlyle both state (on the record) that there were enough votes to pass it. 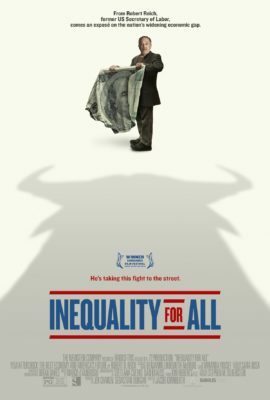 Inequality for All is a film based on the work of Robert Reich, a Professor of Public Policy at the University of California at Berkeley and former Secretary of Labor under President Bill Clinton. This film predates his other film, 2017’s Saving Capitalism by four years, and while there is some overlap in the films, such as Reich’s explanation of the myth of the “free” market, both are worth seeing for all the information in them. Some scenes in the film are from Reich’s Berkeley “Wealth and Poverty” class. He tells the students that they will explore three questions over the course of the class: what is happening, why, and if it is a problem. He explains that some inequality is inevitable under capitalism. “The question is not inequality, per se. The question is, when does inequality become a problem? How much inequality can we tolerate and still have an economy that’s working for everyone and still have a democracy that is functioning?” Reich asks. The film examines some of the data about inequality in the United States, including how the levels of inequality in 2001 just before the Great Recession mirrored the previous peak of inequality in 1928, the year before the start of the Great Depression. Also notable is that in 2012, the richest four hundred Americans had more wealth than half the United States population put together. Reich explains that household and family spending is seventy percent of the United States economy, and the middle class is the heart of that household and family spending. The middle class is what keeps the economy going. 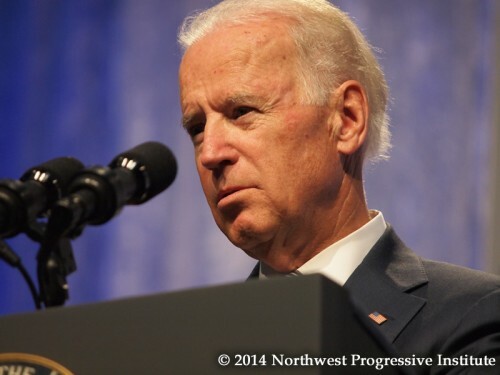 “There’s no way you can sustain the economy over the long term without a strong and vibrant and growing middle class. Can’t be done,” Reich says. Unfortunately, the middle class is struggling and has been going downhill for years. The film then jumps to Seattle, spotlighting local entrepreneur and venture capitalist, Nick Hanauer. Hanauer says he generally makes between $10 and $30 million per year between his various businesses. One makes mattresses and pillows. After the film shows multiple news clips with people talking about “job creators,” Hanauer tears into this framing. “Sometimes we think that this is a debate over facts and figures and data. I think if you believe that, you’re fooling yourself,” he begins. It is customers, he says, who are the real job creators. The film pivots back to Reich, who explains how, starting in the late 1970s, a gap between productivity and wages, which historically rose together, started to grow. Over the last thirty-plus years, productivity has continued to go up, but wages flat-lined. He attributes this to not just the decline of unions, but two other major underlying issues: globalization and technology. Contrary to popular belief, he says, globalization and tech have not reduced the number of jobs available to Americans. These forces have, however, reduced the pay of many Americans, even though costs for goods and services have gone up. So people are working harder and harder and harder, and getting nowhere, Reich says. He then explains how we don’t have to look to other countries for a model of how to make things better, but rather just look to our own past: the United States in the three decades after World War II. At that time, the virtuous cycle was in full effect. The cycle goes like this: increasing productivity leads to increased wages; increased wages mean workers buy more; people buying more leads companies to hire more people; more people working means tax revenues increase; the government then uses these increased revenues to invest more in our society; increased public sector investment allows workers to become better educated, which in turn allows for even more productivity, and the economy expands. Unfortunately, says Reich, these days many people “buy into the lie [that] ‘government is bad, the market is good. Everything that government does works against you and everything the market does helps you. '” This myth ignores how markets have been rigged and restructured over the last few decades to further enrich those at the top, at the expense of everyone else. Reich then explains that when the middle class doesn’t share in economic gains, rather than the uplifting virtuous cycle, you get a downward vicious cycle: wages stagnate, meaning workers buy less, then companies downsize and tax revenues decrease, prompting our elected representatives to cut essential public services, workers are then less educated and unemployment rises, and deficits grow. As if all of this isn’t bad enough, another thing that must be worried about when inequality reaches such high levels is it’s impact on our democracy. “With money comes the power to control politics,” says Reich, noting how the amount of money going to lobbyists goes up every year. For example, the top marginal tax rates used to be much higher. Under President Eisenhower, a Republican, they were at the highest rate in history, 91%. It was not until Ronald Reagan’s time that rates went below 70%, and now the top rate is only 37%. Capital gains are taxed at an even lower 15%. Hanauer, a billionaire, says his effective tax rate is only 11%. There is no single solution to income inequality, Reich says, but because we make the rules of the economy, that means we have the power to change those rules. To counteract the power that those with all the money have, it will just take more effort. “You’ve got to mobilize. You’ve got to organize,” says Reich. The more we can get people to understand this, especially the rich, the more we can impact the government to fix the rules of the game so that they no longer tilt so decidedly in the favor of those that are already rich. “Inequality for All” ends with footage of that last day of Reich’s class at Berkeley, where he encourages his students that, no matter how enormous the problem is, individuals can have an impact. “I choose to be here, in this course, because I believe in you,” he says. Just as I write, in the hopes that it gives people more information and inspires them to take action. You can watch “Inequality for All” on Netflix or for a fee on YouTube, iTunes, Vudu, Google Play, or Amazon Prime Video. Reich also maintains an interesting blog, which also has many informative videos if you prefer that to reading his posts, and has an active Facebook presence. I’ve followed him on Facebook for years and find his posts insightful and also grounding in this dystopian age of Trump. Legislation to permanently require that ballot return envelopes include prepaid postage is on the the verge of becoming the law of the land in Washington State after the House of Representatives took action tonight on Senator Joe Nguyen’s Substitute Senate Bill 5063, one of NPI’s legislative priorities for 2019. By a vote of eighty-three to ten, the House sent Nguyen’s bill back to the Senate with amendments for final approval. Most of the chamber’s Republicans joined the House Democratic caucus in supporting the legislation. Among the Republicans voting nay was J.T. Wilcox, the leader of the House Republican caucus. Most of Wilcox’s caucus, however, opted to support the bill. Prepaid postage for ballot return envelopes is funded in both the House and Senate versions of the 2019-2021 operating budget; SSB 5063 simply changes the law to make prepaid postage on ballot return envelopes mandatory. We should have eliminated this barrier to voting years ago. Now it’s finally happening and that’s a relief. This is a nice follow-on to last year’s groundbreaking Access to Democracy package. Hopefully, not needing a stamp to return a ballot will foster participation in this year’s local elections. In 2015 and 2017, Washington set records for the worst general election voter turnout in state history. We don’t want to do that again in 2019. 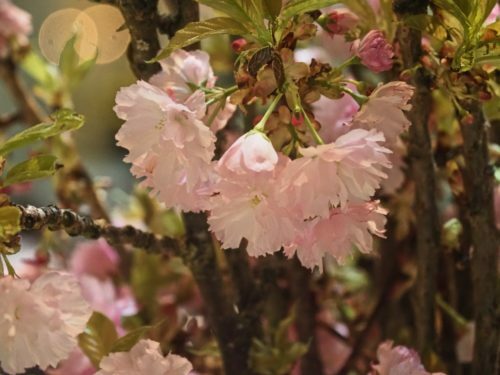 Spring is in full swing and so are plans for our eleventh Spring Fundraising Gala, which will take place on Friday, April 26th, 2019 in Renton. With the big evening quickly approaching, we are delighted to announce that Washington Commissioner of Public Lands Hilary Franz will deliver the opening address at this year’s gala. 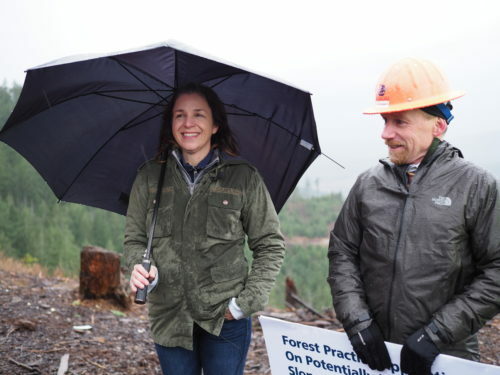 Hilary Franz has led Washington’s Department of Natural Resources since January 2017, when she succeeded Okanogan rancher and molecular biologist Peter Goldmark. She is the state’s fourteenth Commissioner of Public Lands. A native Cascadian, Franz has been committed to the work of building a more sustainable region for decades. She has extensive experience in both the nonprofit sector (with organizations like Futurewise, Washington Environmental Council, and Conservation Northwest) as well as the public sector (as a Bainbridge Island City Councilmember and a member of numerous boards and commissions). As Commissioner of Public Lands, she has been an outspoken advocate of increased funding for geologic hazards research and firefighting readiness. Only a few hours ago, Commissioner Franz testified before the Washington State Senate’s Ways & Means Committee in support of a bill (Senate Bill 5996) that would establish a dedicated source of revenue for combating wildfires and equipping firefighters with essential tools needed to keep communities safe. Commissioner Franz has always felt a close connection to the land. Her family has owned farmland in Pierce County since the 1930s, and she has been raising three sons on a historic farm on Bainbridge Island for almost twenty years. We deeply appreciate her passion for environmental protection and sustainable farming, and we’re very happy to have her as part of this year’s speaking program. Commissioner Franz joins a diverse, dynamic lineup of speakers at this year’s gala. Our reception host will be Burien Mayor Jimmy Matta, a champion of working people who was elected along with three other progressive candidates (the Burien Fantastic Four) in the fiercely contested local elections of 2017. Our master of ceremonies (session scheduling permitting) will be Senator Manka Dhingra, a trailblazing lawmaker who serves on the board of NPI’s new charitable sibling, the Northwest Progressive Foundation. And we will be presenting El Centro de la Raza’s Estela Ortega with a Lynn Allen Award for indispensable contributions to progressive causes. We’re biased, of course, but we think this is one of the best speaking programs we’ve ever put together. We hope you’ll consider joining us on April 26th. If you haven’t yet bought your ticket yet, we urge you to do so now. A household ticket admits all the members of an immediate family and is a good value if you plan to attend with your spouse or children. (The gala is a family-friendly event, and young people of all ages are welcome!). Be inspired to continue working for a progressive future for our region and country: join us this Friday, April 26th at the Renton Community Center! Follow this link to securely buy your individual, household, or living lightly ticket. We hope you’ll help us make our biggest event of the year a success by buying your ticket and joining us in Renton at the end of the month.